To ensure delivery for Father's Day, please order by June 12th. Thank you so much for your generous gifts! We have decided to extend our project. The Manning Center is one of the crown jewels of our campus, especially for our student-athletes. With the immense success over the last few years, it's time to update our graphics, add a sound system, and enhance the Williams-Reed Football Foyer. Your generous donations will help us continue to deliver a state-of-the-art facility for our student-athletes, coaches, staff and fans. 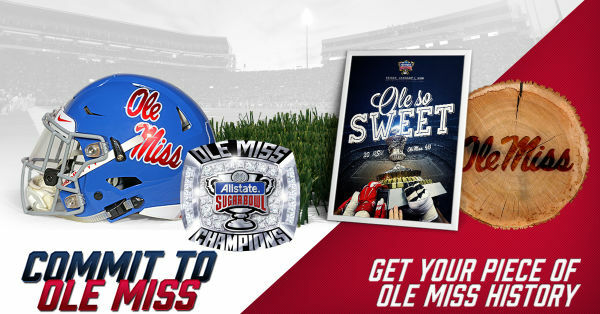 Best of all, your donations have great benefits that make you eligible for one of several exclusive perks - from actual Vaught-Hemingway Stadium turf to game-worn powder blue helmets from the Sugar Bowl. 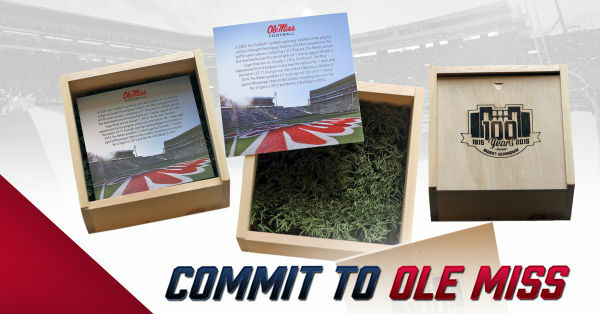 With several donation levels, every Ole Miss fan can show they are committed to the Rebels! All gifts are 80% tax deductible after the cost of the benefit is deducted from the total cost of the donation. All gifts will count towards priority points in the Ole Miss Athletics Foundation. To read more about priority points, click here. 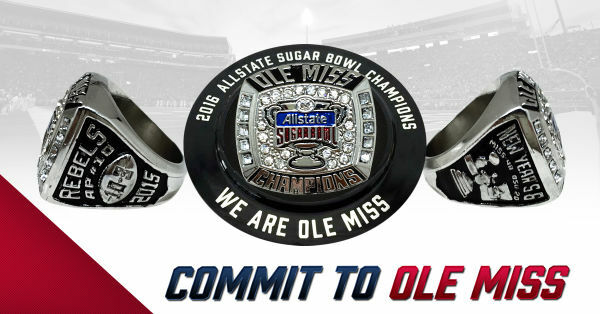 For questions, please call the Ole Miss Athletics Foundation at 662-915-7159, then press 2. 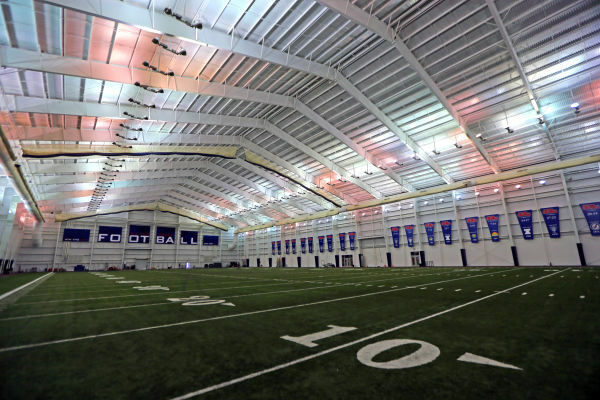 Among the finest facilities in all of college athletics, the Olivia and Archie Manning Athletics Performance Center at Ole Miss is the crown jewel in the growing athletics compound surrounding Vaught-Hemingway Stadium. Ole Miss named the facility in honor of the Mannings in 2013, recognizing their extraordinary contributions to the University of Mississippi. The renovation and expansion of the Manning Center was made possible by gifts to the Forward Together Campaign. In partnership with Ole Miss Athletics, the Manning family and the family of Billy Van Devender made significant contributions to the campaign in order to honor Olivia and Archie in this special way. Located beside the South End Zone of Vaught-Hemingway Stadium, the Rebels moved into the spectacular $18 million multi-purpose structure in fall 2004. As part of the Forward Together campaign, a $12.5 million renovation and expansion commenced in early 2013. The project was built in phases and completed in early 2014. Among the upgrades was the construction of a full kitchen and dining hall that is part of the Ole Miss dining program and open to every student, faculty and staff member. 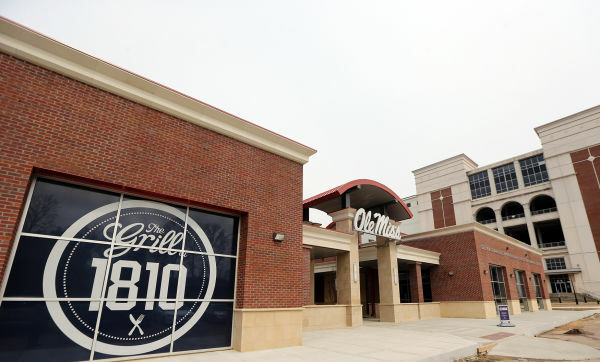 The “Grill at 1810” provides a nutrition center for all Ole Miss student-athletes. The Roland and Sheryl Burns Team Meeting Room was constructed on the north end of the facility lawn between the building and the south end zone of Vaught-Hemingway Stadium. It seats approximately 200, doubling the capacity of the previous team room, and the meeting area was outfitted with state-of-the-art audio/video equipment and coaching software. Adjacent to the team room is a new head coach’s office, putting all of the staff on the same level in the renovated coaching suite. With the construction of the team room, a new front door and recruiting room was erected on the site of the old team room and pays tribute to the contributions of Ben Williams and James Reed, Ole Miss’ first two African-American football student-athletes. 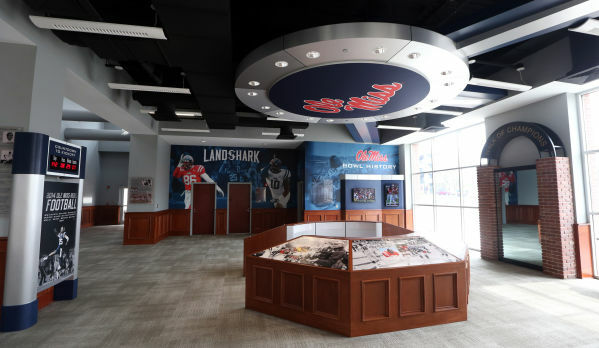 The Williams-Reed Football Foyer celebrates the rich tradition of Rebel football with recruits, alumni and fans with interactive exhibits and memorable images from the program’s history. The existing weight room was expanded on the east side of the Manning Center, widening the area by 2,000 square feet. On the west side, the locker room was overhauled and enhanced to include new player lounges and renamed the Van Devender Family Foundation Locker Room. Also, the Mattingly Family Equipment Room has been renamed to honor the memory of the late Thomas J. Mattingly and his family. AECOM, CDFL and Tipton & Associates were the architects of the renovations and expansions to the Manning Center. - New indoor facility is linked to existing stadium via secured, underground tunnel for moving players back and forth between facilities during gamedays. - Staff area/offices include private positional coaches' offices with adjacent team position meeting room.